Create an specific atmosphere can help you to create the thing what you most want. 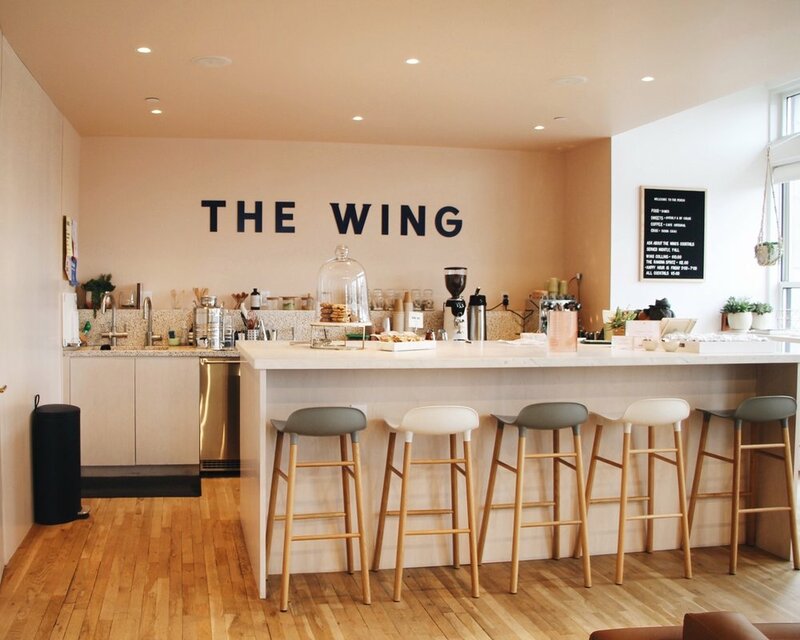 Is the case of The Wing, the network of co-workings and community spaces designed for women in USA. With three spaces in New York, one in Washington DC and another in San Francisco that will open soon. The most important point of this space it's that they create an space and a community for women where they can feel confortable, relax and surrounded by a confident environment. All supported for a very specific aesthetic line. Soft color palette, cushy chairs and sofas, books all over the place and separated zones for different functions. The important thing of the The Wing is the distribution of the spaces. Each location has a very clearly purpose. Common zones for reading and relax, spaces for talking, shared big tables to study and different sizes offices for having a meeting or to record a podcast program. Every space transmits it's objective through fabrics, forms and colors. Suede upholstery, velvet, soft woods and illustrated prints are specifically chosen to transmit security and confort to help concentration like the sofa zone located in Brooklyn. 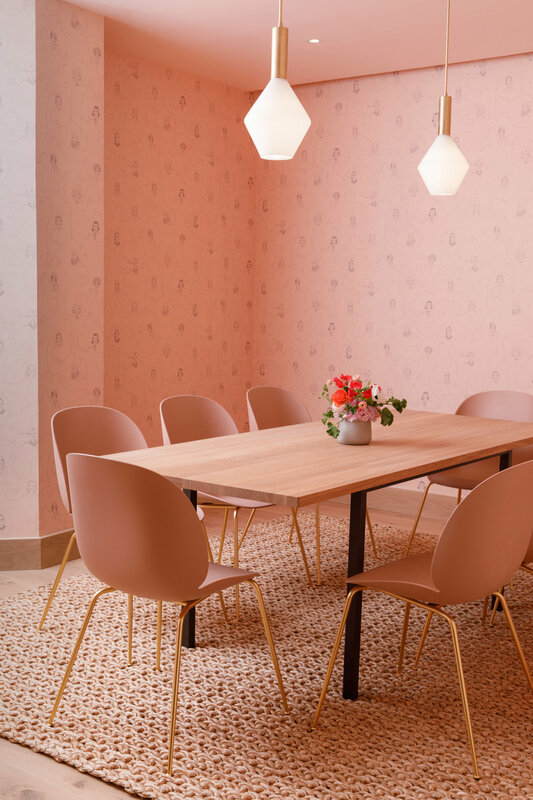 An island of dark green velvet sofas half-buried on the first floor that invite us to take a coffee and start a project with the other members of this (design) sisterhood. A new way of understanding co-working spaces, libraries, private clubs and conference rooms under the same curated aesthetic line elected to transmit the values of a new generation of creators.